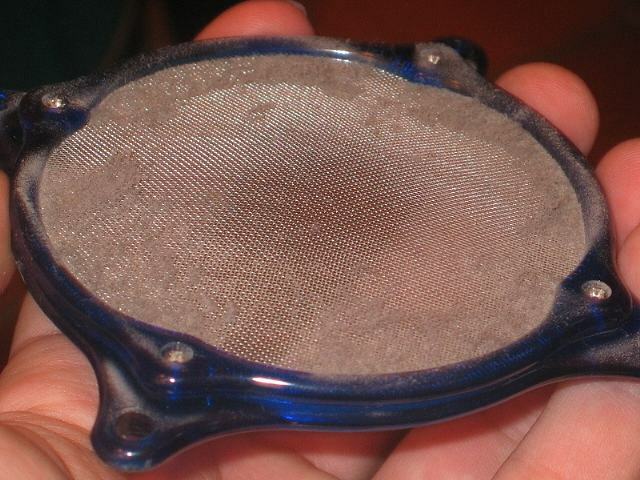 If your computer is standing in a dusty, dirty environment then it is very likely that a lot of dust will stack up inside your PC on your precious hardware. 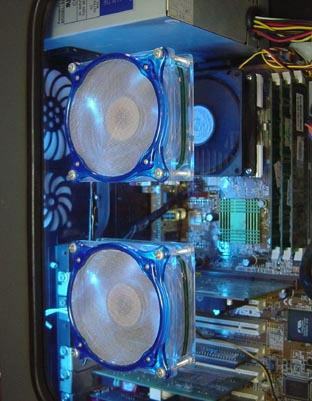 It is not only bad for your hardware, it also raises temperatures and looks very unattractive if you have a case window. Any solutions for this problem? 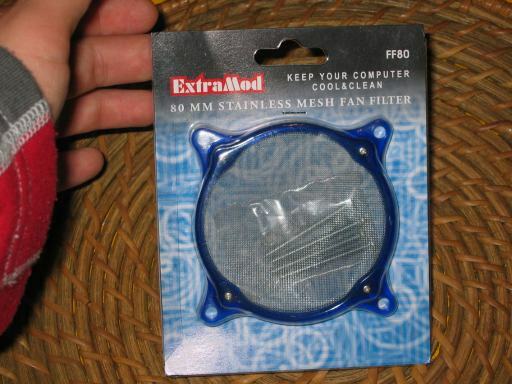 Well you could make yourself a few dustfilters, or you can be lazy and buy a few Meshed Fan Grills from Extramod. Currently Extramod only has an 80mm version available in a translucent blue colour. 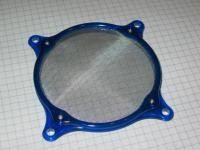 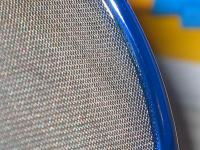 The blue frame is made out of polycarbonate with a stainless mesh to filter out all the dust. 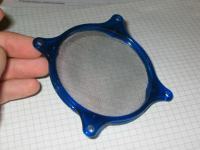 It also acts as a 'fingerguard' just like normal fan grills. Here you have a look at the meshed fan grill. 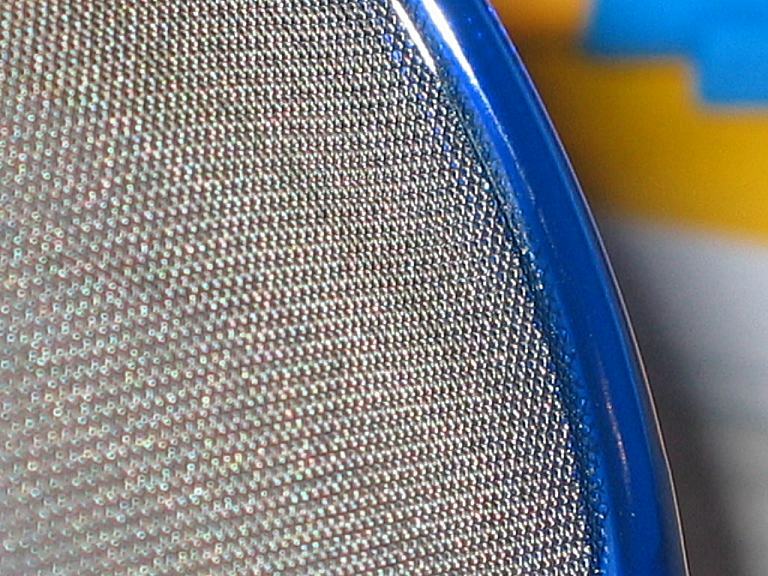 And here a close up of the meshed grill. Now to end this short review I'm going to show you the result after 3 weeks. 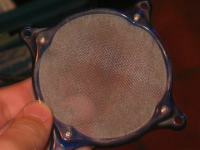 Dirty isn't. 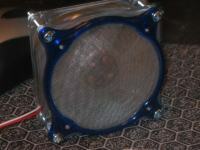 - Restricts airflow a little bit.